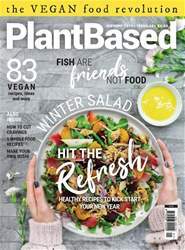 The plant protein selection from For Goodness Shakes is available in a range of supermarkets, including Sainsbury’s, Morrisons, and Waitrose. At only 99 calories per drink, their vanilla chai and strawberry flavours contain no added sugar and are fat free. At only 111 calories, their chocolate flavour is ideal for those looking for a chocolatey snack, as it still contains no added sugar and is low in fat but tastes truly induldgent. 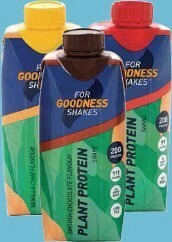 These shakes contain 20g of protein, and include vitamins B12 and D.